This is the Build-N-Fly Fly Boy from Guillows. 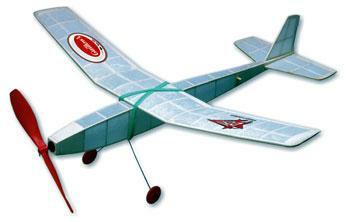 This is a Hand Launch Rubber Band Powered Airplane. Skill Level 4, for expert Builders. Retail $22.99 SAVE 33% !